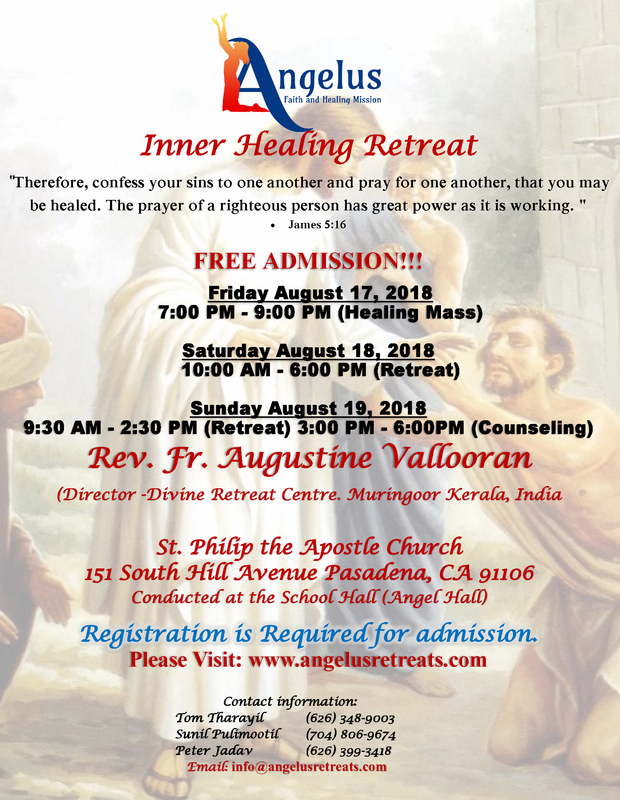 We are very happy to announce the Healing Mass & INNER HEALING Retreat by Rev Fr Augustine Vallooran (The Director of Divine Retreat Center – Kerala, India) and Spirit filled Counseling by Glen and Teresa from Aug 17th to Aug 19th 2018 to be held at St Philip the Apostle Church School Hall, Pasadena, California. The flyer is attached herewith. We request you to please register your name at our web www.angelusretreats.com. Please do spread the words around!